Valencia CF: Daniel Parejo transfers to Valencia CF? Daniel Parejo transfers to Valencia CF? Daniel Parejo transfers to Valencia CF? Well not so much, but with negotations between Getafe and Valencia and the player himself finished, reports suggest that all parties wait on an official response from Real Madrid. They were not going to exercise their buy-back clause as they already purchased Altintop and Sahin and their midfield is already jam packed. So basically once Real Madrid officials respond that they would not be buying back Parejo the transfer will complete and Parejo will become a Valencia CF player. Reports suggest that Valencia will be paying 5 million, plus putting Moya as a bargain tool as well. 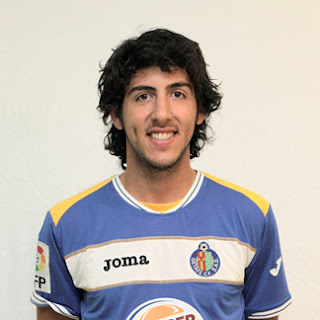 Personally I'd rate Parejo 3-4 million euros, he is very young, very inexperienced, hasn't achieved too much and has played in Getafe a middle table team at best, previously he played for Queen Park Rangers and Real Madrid B team.